LA SUPREMA CORTE DE JUSTICIA CONFIRMÒ LA CONSTRUCCIÒN DEL EDIFICIO JUDICIAL. SE LLAMARÀ A CONCURSO DE IDEAS. 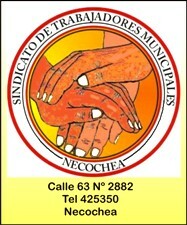 ← “LOS CARABAJAL” ACTUARÀN EL SÀBADO EN NECOCHEA RECIBIENDO EL 25.